Former Super Eagles striker Julius Aghahowa has stated that going to the 2018 FIFA World Cup, the national team lacks a creative support striker. 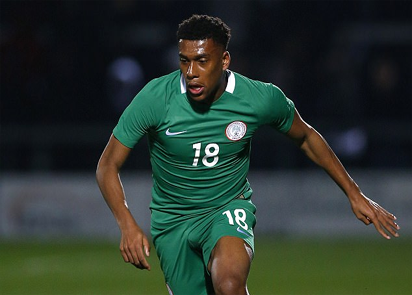 Aghahowa argued that Arsenal striker, Alex Iwobi needs to step up and take up that role. “During my time, I had great players like Kanu and Jay Jay Okocha who could see your run and deliver the passes where you want it, that was why I was able to thrive as a lone striker. But right now, a top nine like Odion Ighalo is playing the position but does not really have the kind of support I got. The post 2018 FIFA WC: Be creative like Okocha, Kanu, Aghahowa tells Iwobi appeared first on Vanguard News.